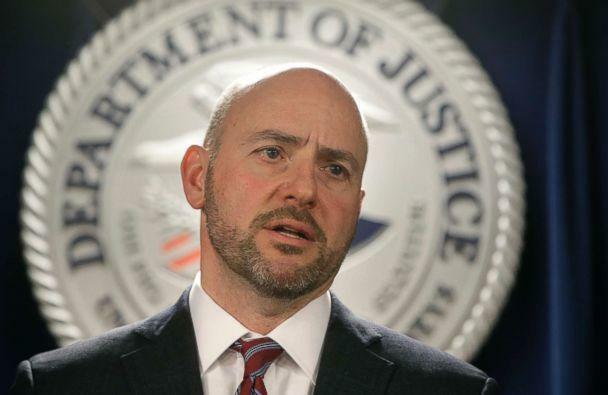 "This case is about the widening corruption of elite college admissions through the steady application of wealth combined with fraud," Andrew Lelling, the U.S. attorney for the District of Massachusetts, said at a news conference. 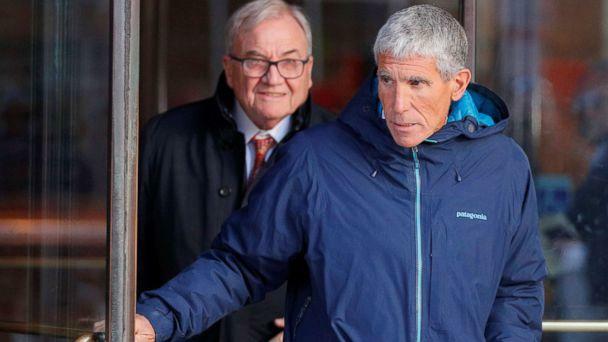 "There can be no separate college admissions system for the wealthy and, I'll add, there will not be a separate criminal justice system either," Lelling said. Sen. Elizabeth Warren, D-Mass., a presidential candidate and a former school teacher, expressed outrage over the scandal in an interview Tuesday with ABC News. "This is just stunning," Warren said. "To me this is just one more example of how the rich and powerful know how to take care of their own." According to Lelling, the ringleader of the scam is William Singer, owner of a college counseling service called Key Worldwide Foundation and a company called Edge College & Career Network. 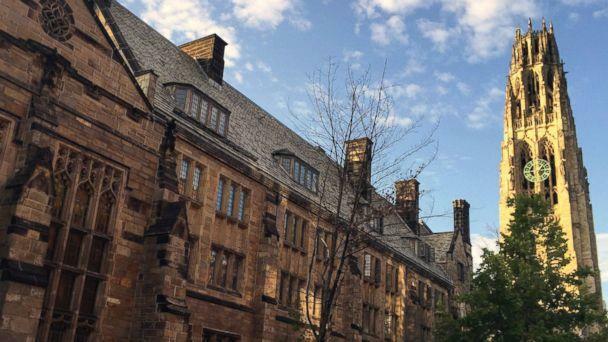 Singer allegedly accepted bribes totaling $25 million from parents between 2011 and 2018 "to guarantee their children's admission to elite schools," Lelling said. Singer of Newport Beach, California, pleaded guilty in a Boston federal court on Tuesday on charges of racketeering conspiracy, money laundering conspiracy, conspiracy to defraud the United States and obstruction of justice, Lelling said. Steven Masera, 69, the accountant and financial officer for the Edge College & Career Network and the Key Worldwide Foundation, was also indicted, according to court documents. Masera and Mark Riddell, a private school counselor in Bradenton, Florida, allegedly worked closely with Singer in the scam, according to the indictment. Mikaela Sanford, 32, of Folsom, California, another employee of the Edge College & Career Network and the Key Worldwide Foundation, and David Sidoo, 59, of Vancouver, Canada, were also indicted for allegedly working closely with Singer to facilitate the scam, according to the indictment. "Singer typically paid Riddell $10,000 for each student's test," according to the indictment. Huffman's husband, actor William H. Macy, was not indicted, but according to the court document he and Huffman were caught on a recorded conversation with a corroborating witness in the case, allegedly discussing a $15,000 payment to ensure their younger daughter scored high on a college entrance exam. Huffman was indicted on charges stemming from the $15,000 she allegedly disguised as a charitable donation so her older daughter could take part in the college entrance cheating scam, the indictment reads. But Huffman and Macy apparently decided not to go through with scheme for their younger daughter. At a hearing before a judge Tuesday afternoon in Los Angeles, Huffman answered "yes" to questions from the judge and acknowledged she understood the charges against her. Macy watched silently from the front row of the courtroom. Huffman was released from custody Tuesday night after the judge approved a $250,000 bond for the actress. "The parents are a catalog of wealth and privilege," Lelling said. "They include, for example, the CEOs of private and public companies, successful securities and real estate investors, two well-known actresses, a famous fashion designer and the co-chairman of a global law firm." Also named as defendants in the indictment are Robert Zangrillo, 52, of Miami, founder and CEO of the private investment firm Dragon Global; Bill McGlashan, 55, of Mill Valley, California, a businessman and international private equity investor; Gordon Caplan, a New York attorney; and Gregory Abbott, 68, founder and chairman of International Dispensing Corp., a New York food and beverage packaging company, and his wife, Marcia Abbott, 59. Lelling said in many of the cases, Singer allegedly bribed the coaches, who "agreed to pretend that certain applicants were recruited competitive athletes when, in fact, the applicants were not." The coaches allegedly "knew the students' athletic credentials had been fabricated," according to Lelling. He said Singer allegedly worked with the parents to "fabricate profiles for their kids, including fake athletic credential and honors, or fake participation in elite club teams." Singer, 58, allegedly even had parents stage photos or Photoshopped pictures of their children participating in sports. Other elite schools named in the scam were the University of Texas, UCLA and Wake Forest. Joe Bonavolonta, special agent in charge of the FBI Boston Field Office, said 300 special agents fanned out across the country early Tuesday and arrested 38 people. He said seven other suspects were working to surrender to authorities and one is being actively pursued. Huffman was arrested at her home in Los Angeles, while Loughlin, who is in Canada, has yet to be taken into custody, sources told ABC News. USC President Wanda M. Austin addressed the scandal in a letter to the university community. "The federal government has alleged that USC is a victim in a scheme perpetrated against the university by a long-time Athletics Department employee, one current coach and three former coaching staff, who were allegedly involved in a college admissions scheme and have been charged by the government on multiple charges," Austin wrote. Austin vowed to take "appropriate employment action" against school employees involved in the scam and will review admissions decisions. On Tuesday afternoon, USC officials announced that Jovan Vanvic, 57, the university's water polo coach, and Donna Heinel, 57, USC's senior associate athletic director, were terminated from their jobs. "It is immensely disappointing that individuals would abuse their position at the university in this way," Austin said in the letter. "We will continue to cooperate fully with all law enforcement regulatory investigations." Wake Forest officials also released a statement saying the North Carolina school's head volleyball coach, William Ferguson, 48, was one of the defendants indicted. "The university has retained outside legal counsel to look into this matter," school officials said. "Wake Forest has placed Ferguson on administrative leave." 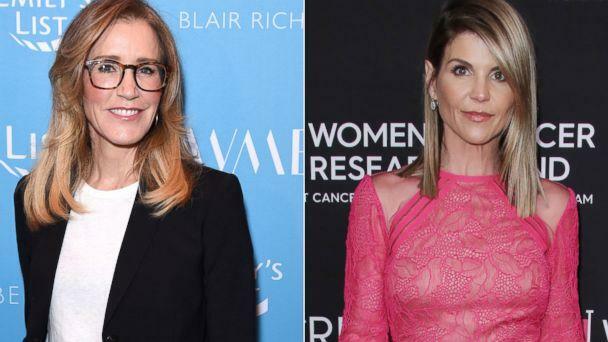 The documents say Loughlin -- best known for her role as Aunt Becky on the ABC sitcom "Full House" -- and her husband, fashion designer Mossimo Giannulli, "agreed to pay bribes totaling $500,000 in exchange for having their two daughters designated as recruits to the USC crew team -- despite the fact that they did not participate in crew -- thereby facilitating their admission to USC." 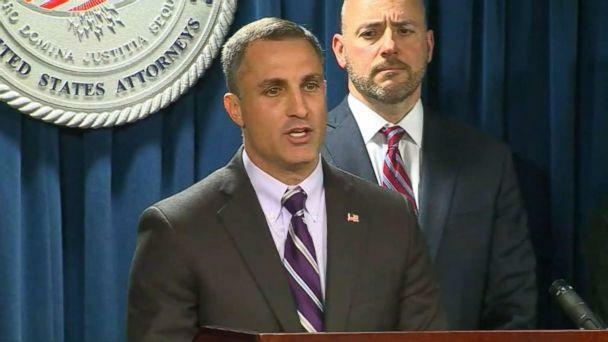 "Today's arrests should be a warning to others: You can't pay to play, you can't cheat to get ahead because you will get caught," Bonavolonta said. Stephen Semprevivo, 53, of Los Angeles.